Attached are suggestions and feedback on the proposed GST Returns. Kindly allow the purchasing dealer to upload his invoices independently to claim his legitimate credit in case if the supplier failed to do so. Kindly find attached the suggestions on simplified GST Returns from CGST & Central Excise Belapur Commissionerate. 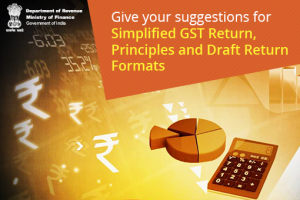 Kindly find attached the Suggestions for simplification of GST Returns and formats from Commissioner CGST & Central Excise, Belapur Commissionerate.